Lightning: Electric swirling path expelled by singularity of black hole. 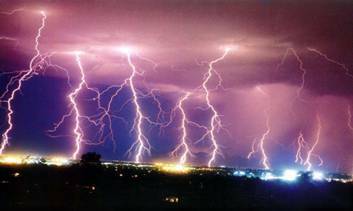 These important and beautiful pictures explaining lightning. More beautiful that NATURE explained alone its behavior can’t be. Only NATURE alone explains its sophisticated, ingenious behavior.. Lightning: electric path is expelled by singularity of black hole. This lithning motion, create in the way, a lot of open quanta. Pict. Motion of energetic matter by open quanta formations. This most sophisticate motion create open and closed quanta formations, create everything.
. Pict. 2 of lightning show giant black hole expeled more electric path. Pict. 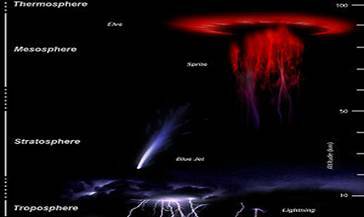 3. of lightning show many black holes in the same time and place. Pict.4. Very beautiful and important picture, which explains black hole behavior. Black hole expelled a stream of energetic matter [see works of http://en.wikipedia.org/wiki/Jacob_Bekenstein ] and John Michell, Pierre-Simon Laplace. The first modern solution of general relativity [A. Einstein] that would characterize a black hole was found by Karl Schwarzschild in 1916, although its interpretation as a region of space from which nothing can escape. Around a black hole [there is a mathematically] defined surface called an event horizon that marks the point of no return even light. This pict. 4. Horizon shines by disperses photons like corona and then from middle are expelled electric path [work Jacob Bekenstein]. The condensed energetic matter from surround is expelled as electric path. More beautiful explanation [that pict.4 ] can’t be. 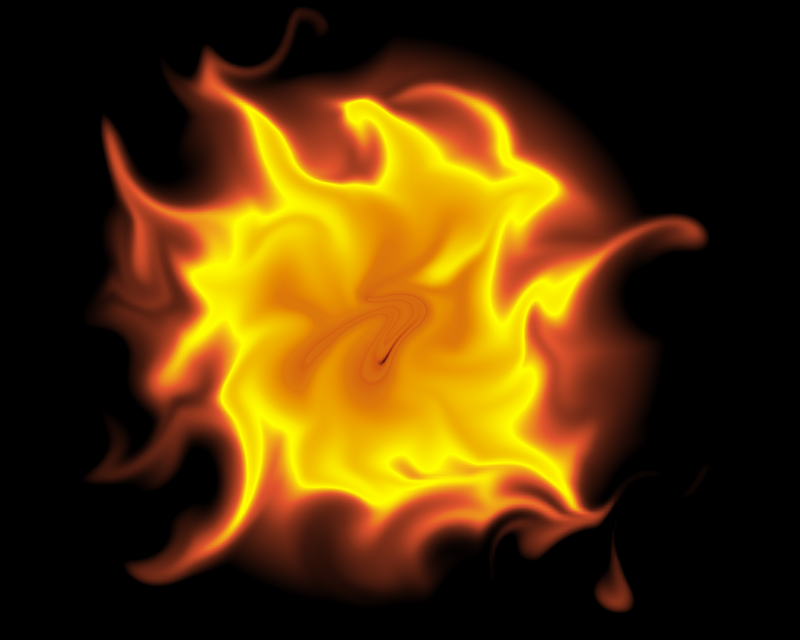 Lightning by swirling, revolving and rotation motion create many open quanta but sometimes appears high energetic semi-closed quantum formation called fireball. 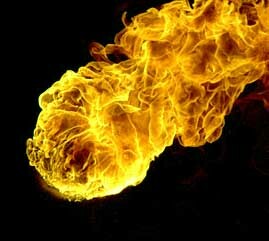 Pict 3 fireball behave like our sun. 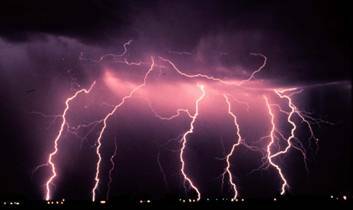 Lightning is a part of the earth energetic matter circulation. Absolutely everything in the universe derives from the same, identical formation of energetic matter — wave formation behavior — and adheres to its rules. Water molecules, which are also small wave formations, garner their energy from the sun, earth and other sources. Gradually, the molecules become more energetically active and their hydrogen and oxygen electron circles (loop) expand with a lot of energy. They, then, act as an anti-gravitation force (for a limited period), which is capable of countering the earth’s gravitation, and they then proceed to evaporate skyward. The aforementioned rise in energy expands the energetic space of the molecules and subsequently the link between neighboring molecules is weakened. As posited in my equation of gravitation, the waves’ two vortexes are endowed with antagonistic properties, but are nevertheless aligned as one wave formation in which the forces of gravitation and anti-gravitation are in a state of perpetual superposition (Schrödinger’s ingenious idea): Equation of gravity – Tejman. It is the relative proportion of the energetic loop in a particular formation that determines if the structure is in a wave or particle phase transition. Water molecules that have enlarged their energetic space ascend and enter the wave phase transition. The increase in energy results in larger cloud circles, which facilitate the circulation of additional energetic matter. Energetic matter is in a state of perpetual motion and in order to maintain this movement it must exist in a closed wave formation. Consequently, the energy creates clouds, and every type of cloud is essentially a wave formation. Logically, waves should constantly expand due to the constant increase of energy from the sun. However, nature follows its own set of rules. Wave theory contends that from the moment that they are formed energetic waves — and in this case hydrogen and oxygen atoms — do not expand. They can only absorb or store limited quantities of energy temporarily. 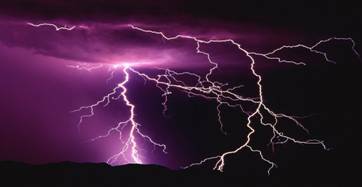 The energy is expelled and dispersed in various ways, primarily by lightning, which is a pure form of energetic matter. Consequently, rain is always accompanied by an increase in the surrounding area’s temperature. Energetic clouds (waves), which take various forms and sizes, play an instrumental role in our planet’s circulation and storage of water and energy. In the atmosphere, water molecules lose energy due to the low temperature and they subsequently contract in to a more concentrated form. This obviously enhances their gravitational properties, and their highly-energetic links transform into smaller, low-energy connections. Subsequently, the molecules return to earth and disperse their energy in the form of rain. Summary Lightning: Electric swirling path expelled by singularity of black hole is a part of earth energetic matter earth energy circulation [circular vicious].